A few months ago we reported that Merstham FC had decided to give free admission to all NHS staff. But the club have now gone further, and announced that ALL emergency services personnel can now come and watch Hayden Bird's high-flying side for free. "We’ve had some very positive feedback from the NHS and the non-league football community to our original offer to NHS staff to watch our home matches for free. We also got feedback from the Surrey Fire & Rescue Service and the local Police suggesting that we might like to consider extending our offer. Of course, we’re delighted to do so and remember all the help both services gave us when we hosted our sell-out FA Cup tie against Oxford United a couple of seasons ago. 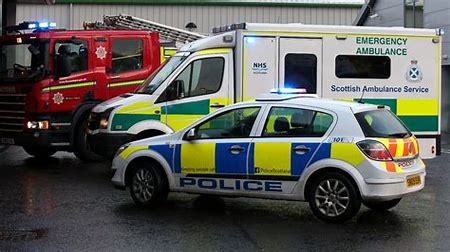 The Emergency Services deserve our collective support and we would be delighted if they choose to spend some of their well-earned, off-duty hours watching us play this season. We look forward to welcoming them to The Specsavers Stadium." All any member of the Emergency Services has to do is to bring their staff identity pass and they will be able to enter the ground free of charge. Read more at the club website, here.